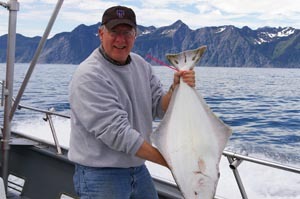 Dr. Jack W. Feminella is Professor of Aquatic Ecology in the Department of Biological Sciences. He has studied ecology of a wide variety of freshwater communities in Oregon, California, Washington, Arkansas, and in the southeastern United States since 1978. At Auburn University, he and his students are currently evaluating benthic invertebrates, water quality, and watershed conditions in Piedmont, Appalachian, and Coastal Plains streams of the Southeast. Lab research focusses on understanding biotic and abiotic controls of stream benthic communities, including contemporary and historical influences of humans on streams. Effects of watershed disturbance on stream populations and communities. Ecology of benthic invertebrates in temporary habitats. Biological interactions and life history patterns of aquatic invertebrates. 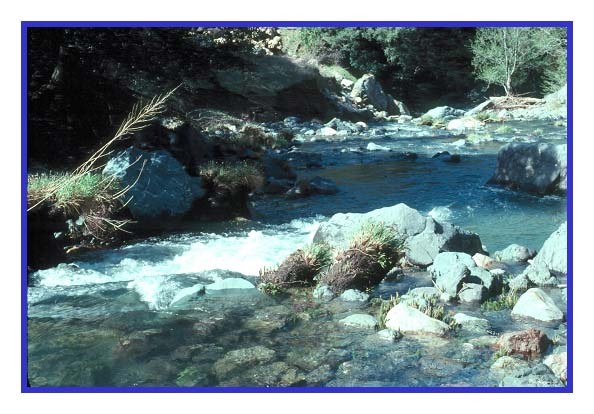 Influence of aquatic invertebrate grazers on stream ecosystems. Experimental design and analysis of aquatic ecological studies. Mary Lou Ewald, M.S. 1995. Effects of environmental pH and calcium on the physiology, behavior, and shell strength of freshwater snails. Charles Howard, M.S. 1999. Effects of suspended sediment on the growth, behavior, and tissue condition of the freshwater mussel, Amblema plicata. Kristin Lenertz, M.S. 2002. Biology, grazing, and physiology of a stream snail Elimia flava (Gastropoda: Prosobranchia) naturally infected by a trematode parasite. Daniel Rinella, M.S. 2002. Influence of coarse woody debris on macroinvertebrate assemblages in Alabama coastal plains streams. Ken Fritz, Ph.D. 2002. The roles of aquatic and riparian vegetation at the aquatic-terrestrial interface of southeastern streams. Lara Panayotoff, M.S. 2002. Patterns in benthic algae across a geologically diverse landscape. Michael Gangloff, Ph.D. 2003. The status, physical habitat associations, and parasites of freshwater mussels in the Upper Alabama River Drainage, Alabama. Kelly Maloney, Ph.D. 2004. The influence of catchment-scale disturbance on low-order streams at Fort Benning, Georgia, USA. Stephanie Miller, M.S. 2006. Relationships between wood and benthic algae: influence of landscape disturbance and decomposer competition. Abbie Tomba, Ph.D. 2006. Effects of trematode parasites on habitat use and disturbance response of freshwater snails in the genus Elimia. Brian Helms, Ph.D. 2008. Response of aquatic biota to changing land use pattern in streams of west Georgia, USA. Richard Mitchell, Ph.D. 2009. The influence of coarse woody debris, disturbance, and restoration on biological communities in sandy coastal plains streams. Emily Hartfield, M.S. 2010. Consequences of low-head dams on crayfish distribution and gene flow in Alabama streams. Molli Newman, Ph.D. 2011. Molecular phyolgenetic characterization of microbioal assemblage dynamics associated with freshwater stream environmental organic matter sources. Jo-Marie Kasinak, M.S. 2013. Methods for monitoring and controlling freshwater harmful algal blooms. Brad Schneid, Ph.D. 2015. Effects of regional and landscape-scale factors on the hydrology, physicochemistry, and diversity of benthic macroinvertebrates in streams of the southeastern USA. Sue Colvin, Ph.D. 2016. Ecological influences on fish assemblages across a regional gradient and between stream types. Stephen Sefick, Ph.D. 2016. Relationships between benthic macroinvertebrate assemblages and the physical environment in sandy Southeastern Plains streams, with emphasis on stream geomorphology, hydrology, and watershed disturbance. Mallary Clay, M.S. 2016. Population structure of burrowing bog crayfishes and the use of environmental DNA for their detection. Eric Bauer, Ph.D. 2019. Patterns in biodiversity in Appalachian streams: insights from communities of crayfishes, macroinvertebrates, fishes, and fish parasites. Lamberti, G.A., J.W. Feminella, and C.M. Pringle. 2006. Producer–consumer interactions, Pages 537-559 in: F. A. Hauer and G.A. Lamberti, editors. Methods in stream ecology. 2nd edition. Academic Press, San Diego, California. Rinella, D.J. and J. W. Feminella. 2005. Comparison of benthic macroinvertebrates colonizing sand, wood, and artificial substrates in a low-gradient stream. Journal of Freshwater Ecology, 20:209–220. Feminella, J. W., and V. H. Resh. 1991. Herbivorous caddisflies, macroalgae, and epilithic microalgae: dynamic interactions in a stream grazing system. Oecologia 87:247-256. Feminella, J. W., M. E. Power, and V. H. Resh. 1989. Periphyton response to grazing invertebrates and riparian canopy in three northern California coastal streams. Freshwater Biology22:445-457. US Dept. of Defense, Dept. of Energy, & Environmental Protection Agency: Strategic Environmental Research and Development Program (SERDP) "Evaluating the long-term ecological responses to riparian ecosyustem restoration at Fort Benning, GA, Military Installation" (Co-PI with N. Griffiths [Oak Ridge National Laboratory] and B. Helms [Auburn], 2017-2019. National Science Foundation, Collaborative Research, Digitization TCN-InvertEBase: "Reaching back to see the future: species-rich invertebrate faunas document causes and consequences of biodiversity shifts" (Co-PI with J. Bond and C. Ray) 2014-2017. US Environmental Protection Agency: "Eco-morphological mitigation design and assessment tools for the Alabama and Tennessee Appalachian Plateau" (Co-PI with E. Brantley, B. Helms, A. Ludwig, J. Shaw, G. Jennings, C. Anderson, and D. Werneke), 2013-2015. National Science Foundation, Biological Research Collections: "Improvements to the Auburn University Natural History Museum." (Co-PI with L. Goertzen, J. Armbruster, and C. Guyer), 2010-2012. US Dept. of Defense, Dept. of Energy, & Environmental Protection Agency: Strategic Environmental Research and Development Program (SERDP), "Development of ecological reference models and an assessment framework for streams on the Atlantic Coastal Plain." (Co-PI with M. Paller, Savannah River National Laboratory), 2009-2012. National Science Foundation, Graduate Division of Education –“GK-12 fellows in science and mathematics for East Alabama Schools”. (Co-PI with O.M. Jenda) 2006-2009. Alabama State Wildlife Grant: “Alabama Mill Dam Inventory (AMDI): an assessment of the impact of low-head dams on mollusck, crayfish and fish assemblages in Alabama streams.” (Co-PI with M. M. Gangloff and D. E. Wernke). 2006-2008. National Science Foundation –Biological Research Collections "Improvements to the Auburn University aquatic invertebrate, fish, and amphibian and reptile collections." (Co-PI with J. Armbruster and C. Guyer) 2003-2005. US Dept. of Defense, Dept. of Energy, & Environmental Protection Agency: Strategic Environmental Research and Development Program (SERDP) "Riparian ecosystem management at military installations: determination of impacts and evaluation of restoration and enhancement strategies." (Co-PI with P. Mulholland [Oak Ridge] and G. Lockaby, [AU School of Forestry and Wildlife], 2001-2007). USDA Forest Service: "Occurrence of Cambarus englishi and Cambarus halli within theTalladega and Tuskegee National Forests, Alabama. (2002-2003). USDA Forest Service: "Status, distribution, and ecology of unionid mussels in streams of the Tuskeegee National Forest, Alabama. (2000-2001). US Dept. of Defense, Dept. of Energy, & Environmental Protection Agency: Strategic Environmental Research and Development Program (SERDP) "Evaluation of stream macroinvertebrate community parameters as indicators of ecological change resulting from military training at Fort Benning, Georgia." (Co-PI with P. Mulholland [Oak Ridge], 1999-2003). USDA Forest Service. "Benthic invertebrate assemblages within small streams of contrasting geology within the Sipsey Wilderness, Bankhead National Forest, Alabama." (1999-2000). USDA Forest Service. "Biological water quality responses to riparian zone management in Coastal Plain streams" (1998-2001). Alabama Department of Conservation & Natural Resources, Division of Game & Fish. "Analysis of relationships between unionid mussels and stream hydrology in tributaries of the Coosa River, Alabama" (1998-2000). USDA Forest Service, National Forests in Alabama: "Response of stream invertebrates to forest understory management: effects of understory thinning and prescribed burning" (1994-1999). American Forestry & Paper Association / Conservation Fund: "Relationships between watershed characteristics and non-point source pollution: cumulative impacts." (Co-PI with G. Lockaby, L. Teeter, K. Flynn, and M. MacKenzie, AU School of Forestry, 1996-1998). US Geological Survey & State Water Resources Research Institute Program: "Effects of forest understory management on stream water quality: Assessment of natural variation" (1995-1996).